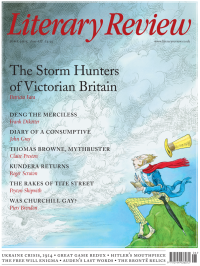 In the April issue of Literary Review Nick Holdstock ended his perceptive review of Michael Meyer’s In Manchuria by asking where the ‘great books about country life’ in other parts of China were. Now, here is one such book – by Holdstock himself – on life in Xinjiang, a Chinese region at least as large as Western Europe. Extraordinarily insightful and informative as it is, I have one problem with it: the title. Neither the population of Xinjiang nor its people, the Uyghurs, are forgotten by China. Indeed, Beijing pays them much, often violent, attention.